Employee “road warriors” who travel frequently have high-stakes responsibilities: cultivating leads, closing new business, and delivering flawless client presentations. But even before this part of the job ends another one begins: jumping through the hoops of expense reports. The process of paper expense reporting is heavily manual: collecting paper receipts, tabulating which expenses are billable in Excel, and stapling receipts is not what employees signed up for. Once this is (ever) done, it needs to go to accounting who then reenters all of this information to their accounting software before payroll can issue a physical check that needs to be cashed or deposited after weeks or, worse, months. Expensify provides a simple way to manage expenses through its beautifully designed mobile app. Cash and credit card transactions can be instantly tabulated and emailed, company administrators can then review and approve hundreds of reports with just a few clicks. Speed arrives without sacrificing quality assurance. The process of going from an expense to a reimbursement requires many business departments and their associated apps. To work, they must be connected by the same, real-time data. If Expensify isn’t integrated, then the app is simply replacing the expense report instead of assisting the expense process. All apps have their own narrow solutions to business problems, yet once they are integrated to work collectively, employers and employees alike begin to see the real benefits. Expensify, thus, can’t live in a silo; it must be integrated with other apps. Take for instance if your Expensify app was linked with accounting apps to ensure clients are billed in a timely manner, or timesheet apps displayed employee project time versus expenses so a company can closely monitor project profitability. 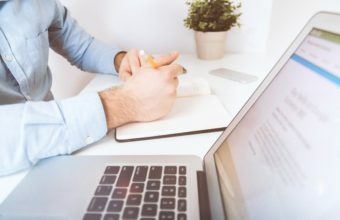 Traditional methods don’t allow you to do this in a flexible way since changes are always occurring whether it comes from adding a new employee to a project, a new address for your client, or even a change in project scope. Integration needs to adjust to your company’s evolving needs without overhauling or pausing business operations. Workato connects these apps so that workflow is smoother and time is saved. Manual handling is eliminated since one expense report can flow through all of the apps it needs to. With Workato’s integration, you will preserve the structure of your data, but have the flexibility of navigating a system that is concurrently updated between the finance, accounting and project management departments. Expense data then becomes real-time, accurate, and timely allowing employees to focus on what matters most – having a profitable business trip, not stressing over every paper receipt. Workato already offers a full library of ready to use Expensify recipes that will integrate your business apps. Additionally, Workato provides a do-it-yourself platform to create your own recipes for data integration. With this recipe, you can automatically integrate an expense report to a project invoice. Your accounting department will always have updated information available as soon as an expense is made. Sync instantaneous employee status changes in both Expensify and BambooHR apps utilizing this recipe. Your HR department can quickly manipulate data for traveling employees. Business travelers will automatically have a user account created in Expensify when a user is created in your TSheets timesheet system. Once a new user is created in TSheets, they will have automatic authority to submit expense reports. Workato and Expensify alleviates a huge pain for any employees with expenditures. 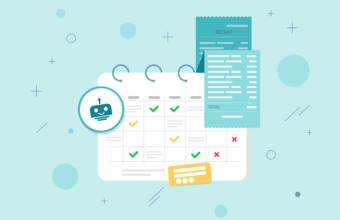 Check out how Workato can help you set up automated workflows so your employees can focus on their jobs and remain motivated due to a prompt reimbursement.